Without warning, Marvel on Friday dropped the first trailer for Avengers: Endgame, giving us our first look at a universe that's now half empty. As expected, things are not looking good: the Avengers are still in mourning, with little to no hope of undoing the astronomical damage. The trailer doesn't give us much in the way of action, instead focusing on the deep trauma caused by Thanos. We do, however, get a few plot clues. 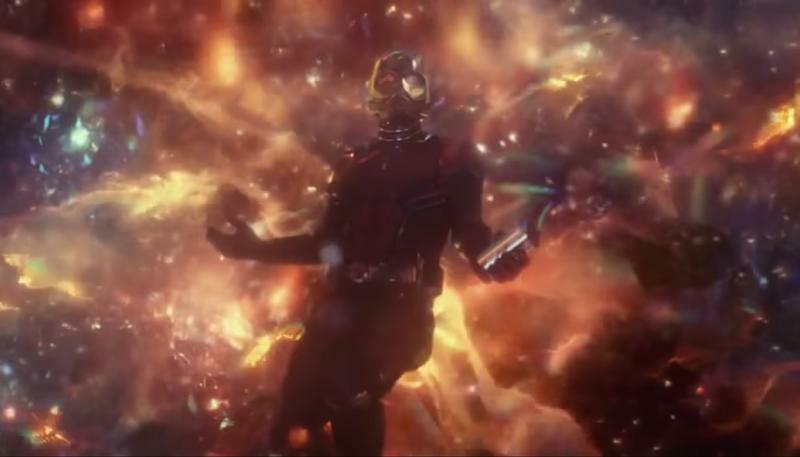 Clearly, the Quantum Realm will play a huge role, making Ant-Man a crucial part of the story. After the battle on Titan, Tony was stranded with Nebula following Thanos' snap. While he escaped the desolate planet, it looks like he's aimlessly wandering through space, with no food or water and time running out. The trailer starts off with him sending one final message to Pepper Potts, saying that part of the journey is the end. Clearly, Tony doesn't think he's going to survive, but it's unlikely Marvel will let him go out so quietly. "When I drift off, I will dream about you," Tony says. The introduction of Hawkeye is important. As Captain America is monologuing, he mentions that they've lost a lot of friends following the snap. More importantly, they lost family, too. While the trailer doesn't show it, the hint here is that Hawkeye's family was dusted by the snap. I think the look on his face says it all. The theory is that Hawkeye's character has adopted the identity of Ronin, which refers to the Japanese term for a masterless samurai. In the trailer, Clint Barton is seen in Japan assassinating a group of what appear to be yakuza. The longstanding theory is that Clint is in Japan hunting down Skrulls, who are set to play a big role in the Captain Marvel movie. It's unclear how Clint knows who is a Skrull and who isn't, and how he got to Japan in the first place, but it's nice to see him back in action. At the end of Avengers: Infinity War, Thanos was seen on an unknown planet building a quiet life for himself. The trailer shows that his farm is now thriving, but he's not in the best shape. While Marvel wants to show us that Thanos is in poor physical shape, it's his mental state that we're more interested in. He looked content at the end of Avengers: Infinity War, but given he sacrificed the only thing he ever loved (Gamora) to achieve his goal, the mental toll might be much greater than he can handle. Will Thanos' remorse consume him and ultimately see him try to undo the damage? As the climax of the trailer, Black Widow comforts Steve Rogers by telling him that their plan is going to work. What the plan is is unclear. But it's incredibly important and the only thing they have left. Many people have speculated that time travel will play a big role in Avengers: Endgame, so that's what they could be talking about. Perhaps Bruce Banner has figured out how to harness Hank Pym's technology to go into the Quantum Realm, where there are time vortexes to explore. Speaking of the Quantum Realm, Scott Lang survived from his predicament. At the end of Ant-Man and the Wasp, Scott was stranded there while collecting energy particles for Ghost. It's unclear how he escaped, but he didn't drive all the way to the Avengers headquarters for brunch. He has something to tell them. What Scott has to tell them could tie directly to the Avengers' plan. There have been reports that the Avengers go back in time to collect the Infinity Stones before Thanos does, launching a game of cat and mouse. We've already seen Avengers: Endgame set pictures showing the battle of New York from the first Avengers, so clearly something big is brewing.